Forget Santa and his sleigh; there’s another man delivering the festive spirit this year, and his message is more warming and potent than even the most fiery, brandy-drenched of puddings. 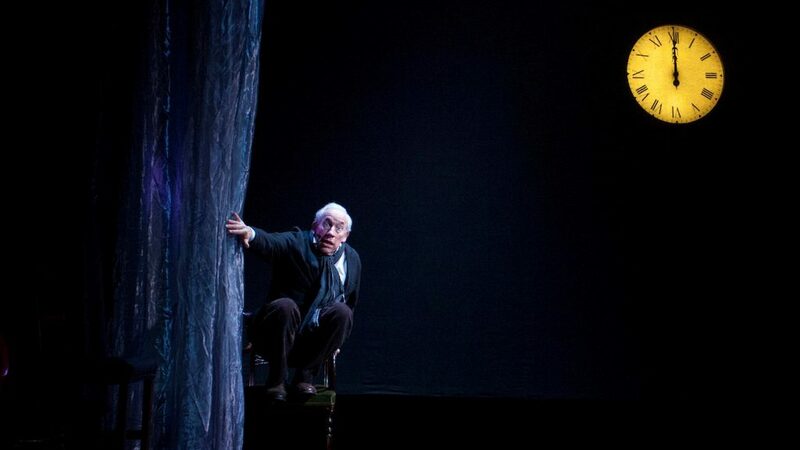 As Simon Callow returns to the Arts Theatre for another winter run of his acclaimed one-man-show A Christmas Carol – adapted from Charles Dickens’s classic – the larger-than-life Londoner strips the essence of the season down to its bare bones, back to a world of simple, sincere gestures as-yet untouched by the commercial claws of Coca-Cola and John Lewis. When an actor is the lead player in a cast of one, there’s nowhere to hide, so we are lucky to be in the presence of a true titan of the stage. 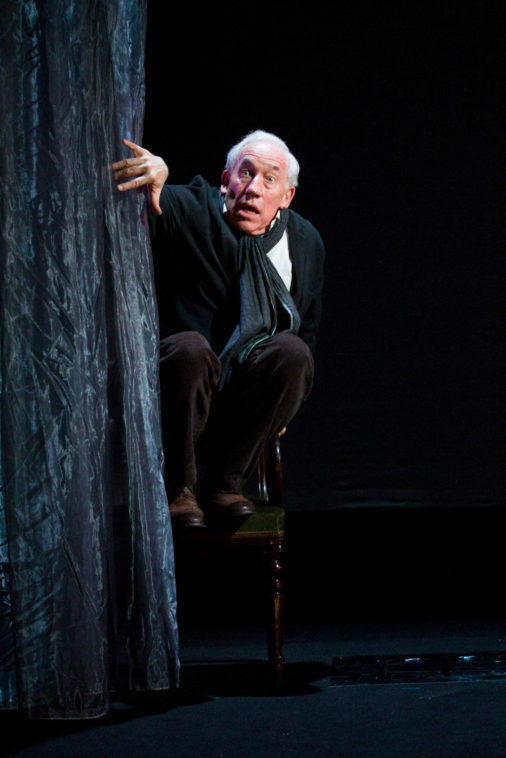 Performing a whole novel’s worth of characters is no mean feat, but Callow dons each role like a new pair of glasses, and within seconds he has us as enraptured as a roomful of kids listening to a bedtime story (the kind given by an eccentric uncle who does all the voices). 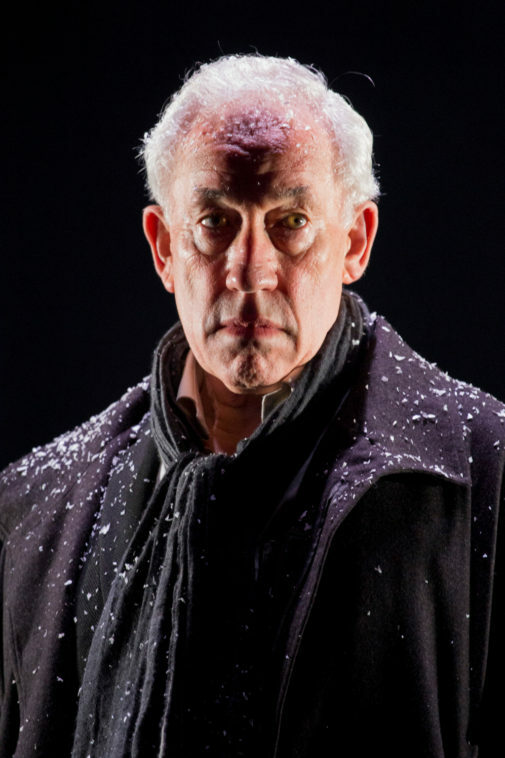 It’s a familiar and well-versed narrative: cold-hearted miser Ebeneezer Scrooge is visited on Christmas Eve by the ghosts of his past, present and future, who remind him what he has lost through his lack of charity, and what he has left to lose if he continues to prioritise his money before his fellow man. As Scrooge is pulled on by the phantoms from the height of merriment to the darkest depths of depravity, our narrator entices us through the tale with a similarly supernatural force. 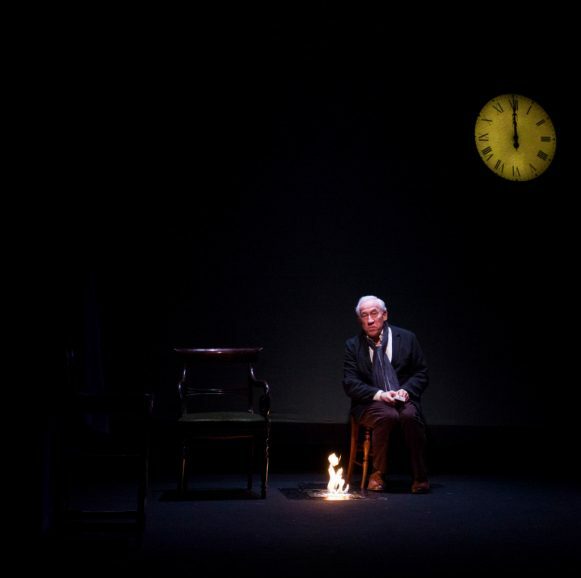 The changing scenery is convincingly crafted through Tom Cairns’s beautifully subtle direction and stage design. A simple set of chairs, deftly rearranged, creates the illusion of a room bustling with people; a screen becomes a versatile window through which Callow peers and around which he dances jovially; a curtain blows to eerie effect; a small fire burns to become an entire living room. 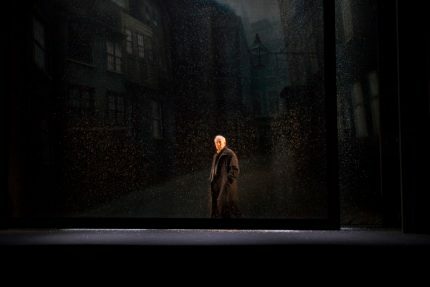 Adam Povey’s lighting creates atmospheric ominous shadows and spectral silhouettes, while the compositions and sound by Ben and Max Ringham are equally immersive in spite of their minimalism, transporting us imaginatively from Scrooge’s echoing empty house to a party of grand proportions. But the creative team also know when to cut out the background noise and let the star shine – and shine he does. Indeed, with one look Callow draws out peals of laughter as loud as the chimes of the looming clock that announces the protagonist’s destiny. The wit of the actor is as sharply tuned as ever, every slyly placed adjective, raised eyebrow and generous guffaw timed with perfect comic precision. 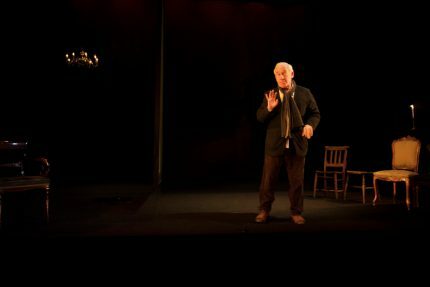 This sense of humour at the heart of the production – this irresistible cheer – is what truly wards away the chill and keeps the moral thread running through with a powerful resonance, restoring one’s belief in the power of mirth and goodwill. 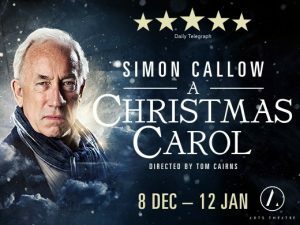 If you find your faith in humanity dwindling in the coming month – or if you simply want the gift of entertainment gripping enough to glue you to your seat for 80 minutes – A Christmas Carol should be at the top of your wishlist. A Christmas Carol is at the Arts Theatre from 8th December 2018 until 12th January 2019. Book your tickets here.